Thankfulness and handwriting go hand in hand “write”?! 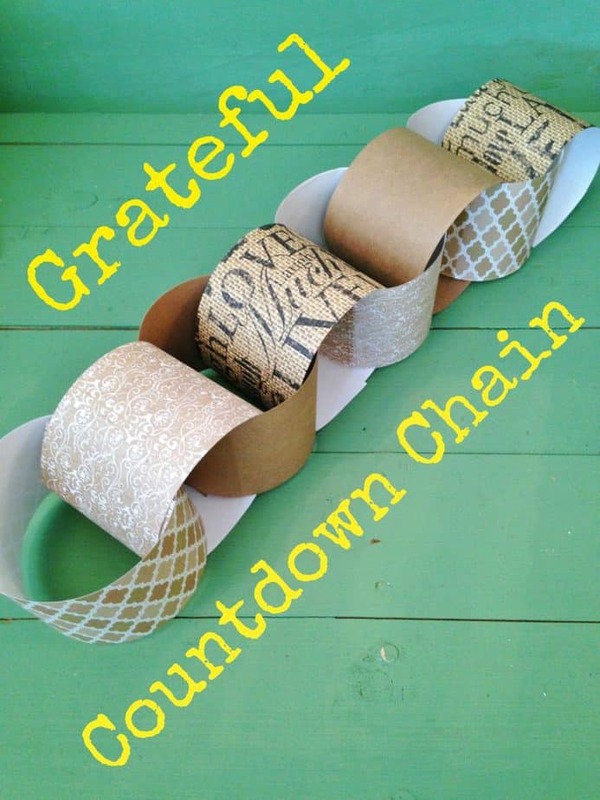 Ok, maybe not, but this Grateful Countdown Chain is the perfect way to get kids practicing handwriting skills AND expressing their gratitude each day as they countdown to Thanksgiving! Not to mention it makes a beautiful home decoration for your mantel or doorway! Take a peek below for our easy step by step instructions on how to create your own! Feel free to edit it as needed based on your amount of kids involved and schedule! Chances are you already have all of these supplies on hand! You can of course use construction paper for your classroom as a cheaper alternative to pieces of scrapbook paper. Or even strips of printer paper or brown paper bags! 1. 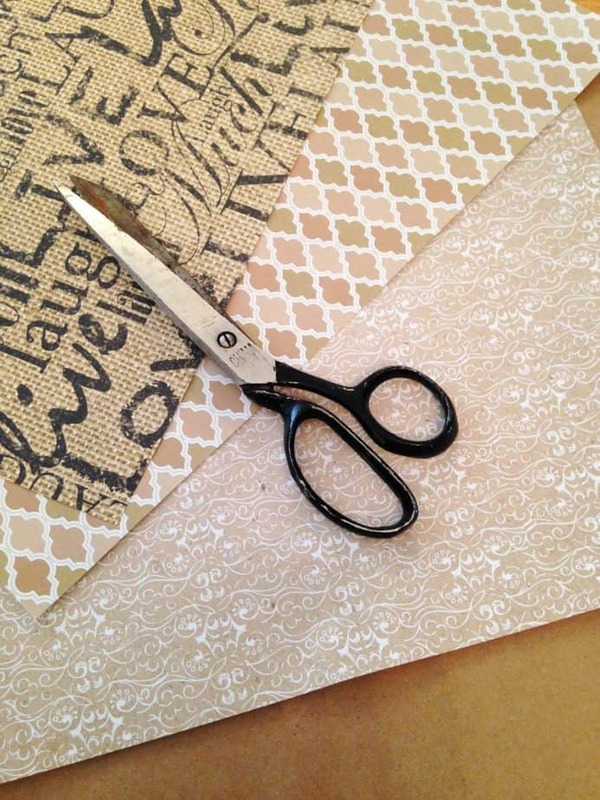 Begin by cutting your paper into 1-2 inch wide strips. You want to have plenty of room to write on them (especially for younger kids!). 2. Cut out 22-28 strips. The number of strips you cut will depend on how many days there are until Thanksgiving. 3. Starting November 1st write a sentence a day on one strip! 4. Continue the process daily. As you write another item down, bend the piece of paper into a loop and start creating the chain. Add a new link each day. 5. 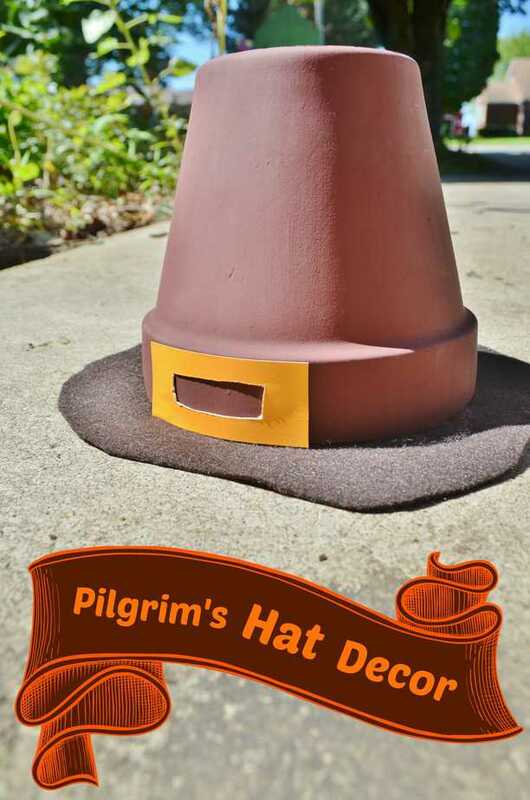 On Thanksgiving day, you will have an entire chain made up of items you are thankful for. How amazing is that? On Thanksgiving Day, display your chain somewhere where it can be seen and enjoyed and reread through your grateful chain. It serves as a wonderful reminder of all you have! Before the end of the day, you can even take the chain apart and enjoy what you wrote all over again or place it in an envelope for next year to look back on. 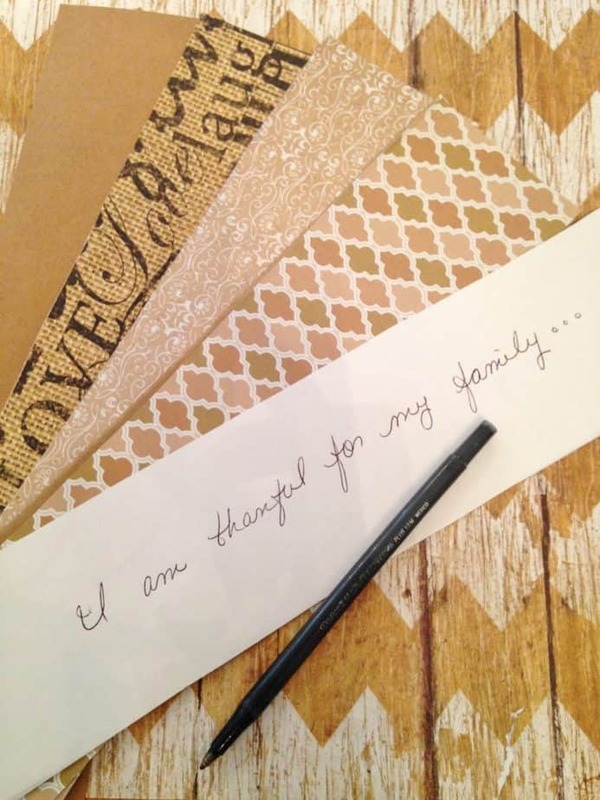 Gather your supplies and give this easy and inexpensive Thanksgiving Thankful Chain a try. It is a beautiful way to get into the holiday spirit. 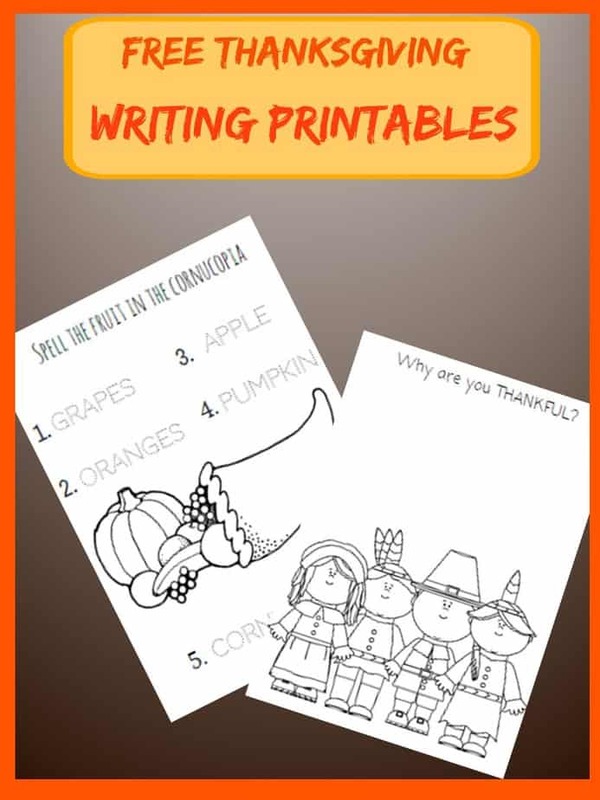 So take a piece of paper and write what you are thankful for and create your own thankfulness chain!